Acorn Street Shop is dedicated to serving our knitting, crochet and needlepoint community. Acorn Street Shop was established in 1979 and began as a New England country store in nearby University Village Shopping Center. Soon the needlework department took over and Acorn Street became a full-fledged needlework shop. 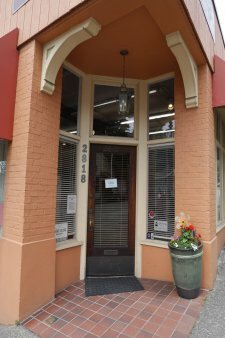 In 1992, the business moved to its present location, just north of the U-Village, and the merchandise expanded to include supplies for both knitting and crochet. Today the shop focus is in the areas of knitting, crochet, and needlepoint. We have an extensive supply of yarns in mainly natural fibers, including wool, cotton, silk, alpaca, llama, yak, hemp, and linen, and in weights from lace to chunky. Needles are offered in a variety of sizes and materials, and we offer a large selection of knitting accessories. In addition, we have a comprehensive library of patterns from many different designers, as well as our own Acorn Essentials patterns, to guide and inspire. We feature a range of yarns in many materials that work well for crochet projects. Our crochet hooks come in a variety of sizes and materials, including wood, metal, and the Soft Touch collection. For those who enjoy needlepoint, we have a large portion of one wall covered in a rainbow of Waverly Wool! We also offer an excellent selection of cotton floss and needlepoint accessories. Whether you are new to your craft or quite familiar, we offer a variety of classes to enhance your skills. If what you wish to learn is not available on the current schedule or does not fit into your week, consider a private class. The staff at Acorn Street are experienced in both knitting and crochet, and are happy to share their expertise! Come in and browse, dream, plan, chat, or just sit in one of our many comfortable chairs. We look forward to seeing you!